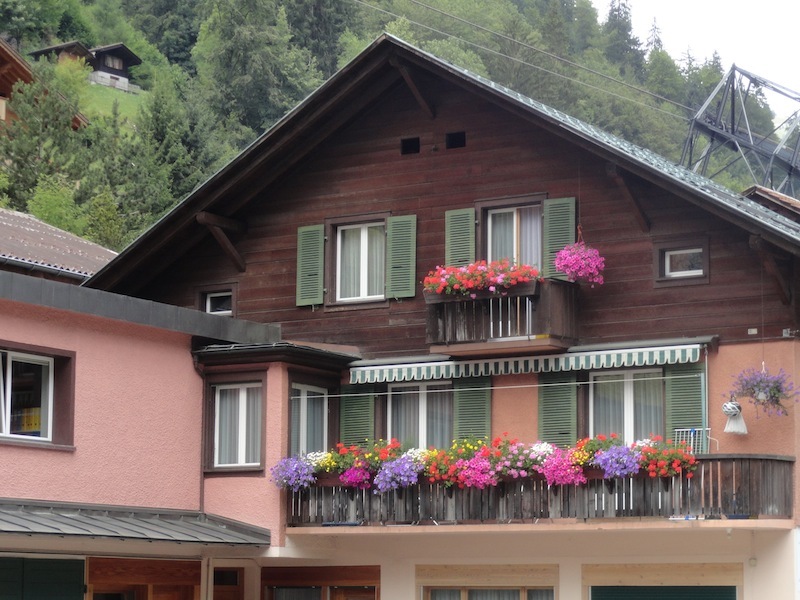 A Cowbell-Tinkling Village in the Swiss Alps – Where is Shyamni? Switzerland wasn’t on the itinerary. Actually it has never even been on ‘the list’. 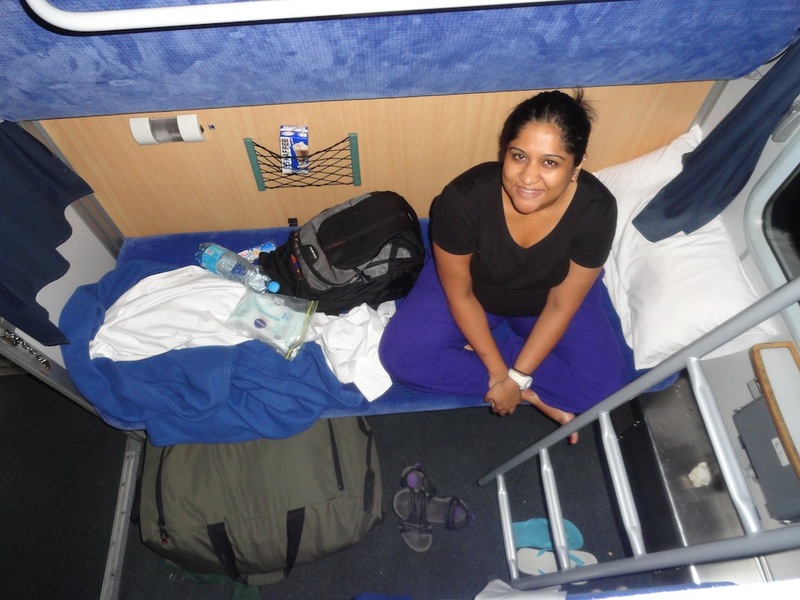 So how did I end up on a sleeper train from Prague to Zurich? I put the blame on Google. So since we all heard my self-diagnois of a travel burnout (of courseee, its a serious problem!) I googled ‘quiet villages in Europe’ and up came 2 articles with a couple of suggestions of their own and my forever observant but silent heart put its feet down and chose Mürren, Switzerland. My brain tried to bargain with Český Krumlov in Czech or Hallstatt in Austria which were closer but nope, we were fixated with Mürren by this stage. On the overnight sleeper train from Prague to Zurich. As bad as it looks, the connections are pretty good with only 6-10 minutes intervals providing the person selling you the tickets puts you on the right timing otherwise you might have longer waits or worse more changes! 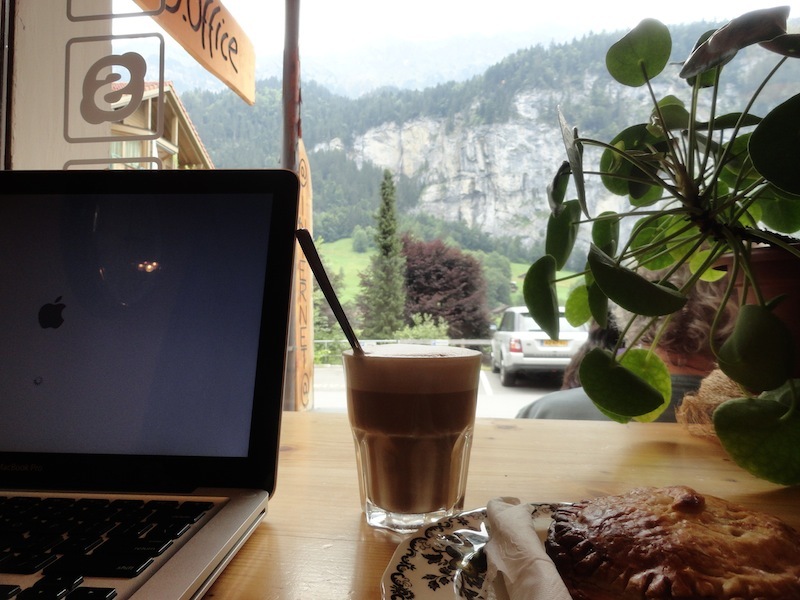 When I got to Lauterbrunnen, I realized I hadn’t booked any accommodation! Found a lovely cafe up with the road from the train station with internet and luckily got something. The village is so….picture perfect that it takes a while to sink in that its an actual village. It’s not an artificial resort type village that was constructed for the tourists. Yes it has become very touristy but I felt unlike a lot of other places, it hasn’t lost its authenticity. I walked around in the afternoon and I saw local residents tending to their flowers and vegetable gardens like they would do in any other part of the world. Also the high prices have managed to maintain the tourist traffic to the place. I must admit without stereotyping, there wasn’t much younger, backpacker type crowd in Murren. It’s more of a older crowd (much fitter than me!) destination. 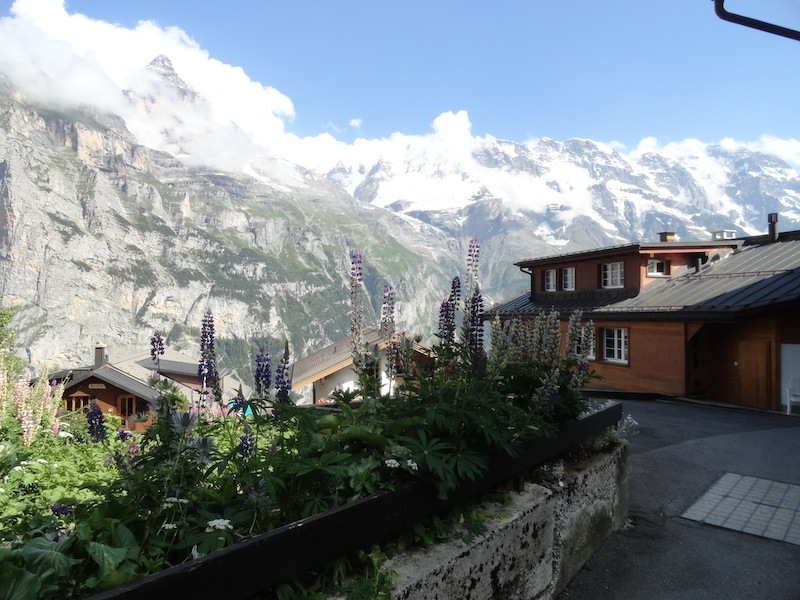 Murren is beautifully located complete with cow bells ringing in the mountain air and if I only I had the budget I would’ve stayed there longer! 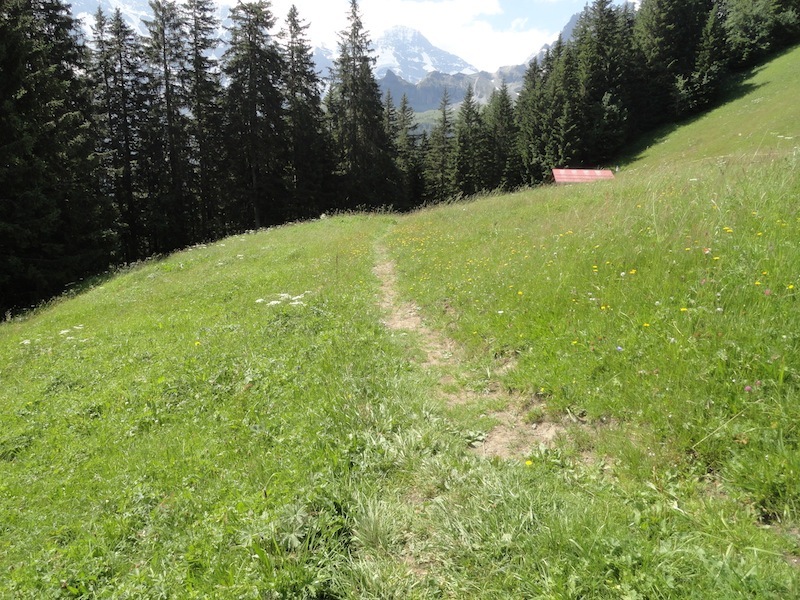 There is a number of hike routes you could choose from and they range in difficulty. 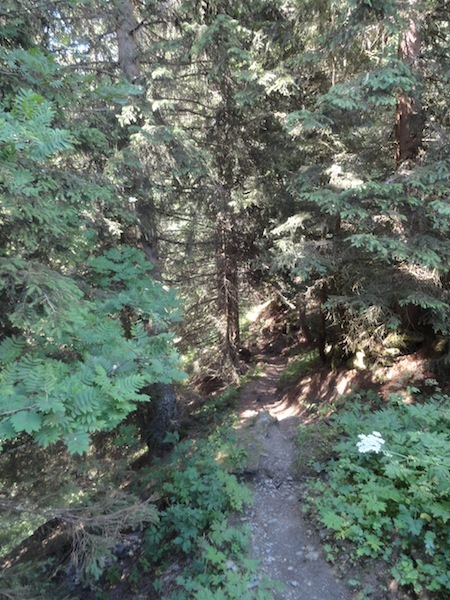 I chose to hike the Northface trail which took about 2 hours and it went through sides of mountains through the pine forests (very Twilight!) and came out to Gimmelwald (another small town.) No matter in which way I look at it, its hard to go past the blessing in this experience. I mean the Swiss alps! Yes, it gobbled a chuck of my budget and took time away from Germany but as the last 4 months have taught me over and over again, its the plans that don’t work out are the ones that actually work out the best. 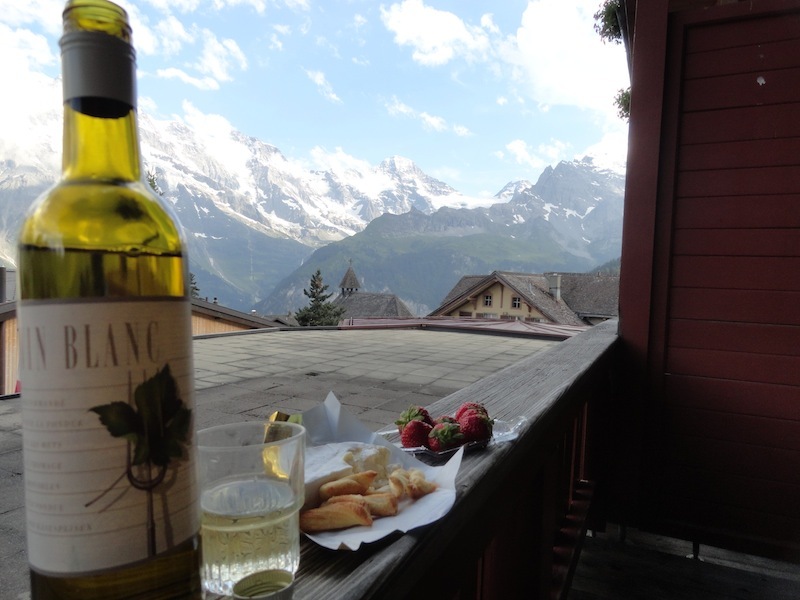 Picnic for one in the Swiss Alps! Only bring what you can carry. If you are connecting from Zurich, you can see from above just how many times you need to change trains. 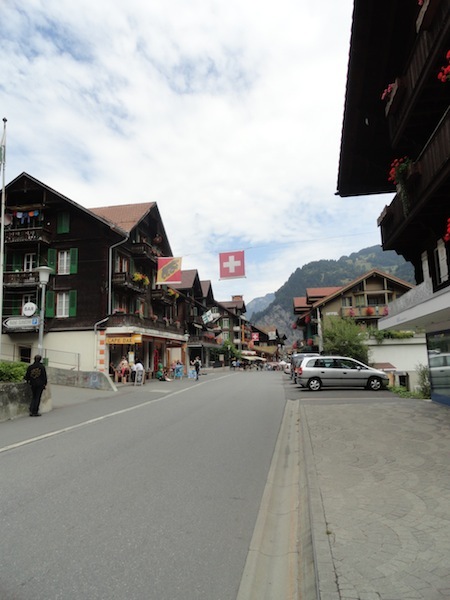 No cars are allowed in Murren. If your hotel happens to be on the other side of the station, you might have to carry your own bags! 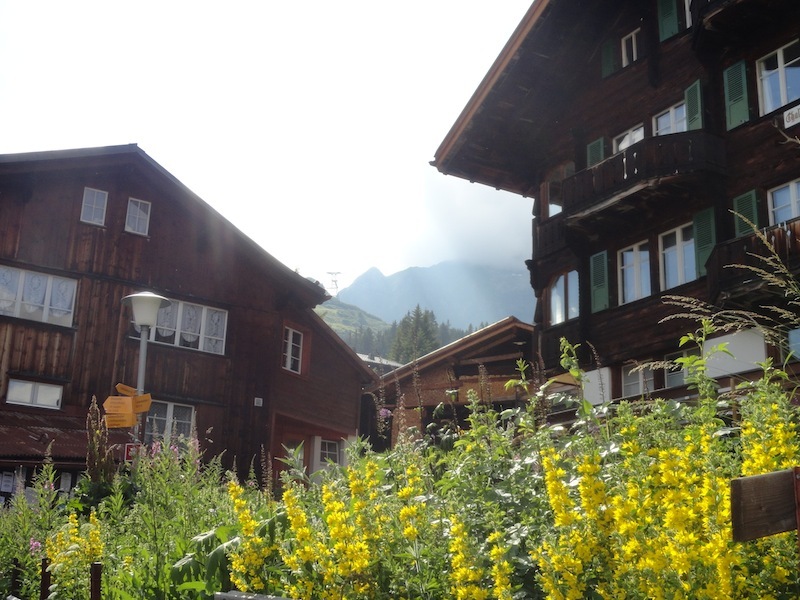 Lots of people, stay in Interlaken or Lauternbrunnen and make a day trip up to Murren. Pingback: How I Took a Year Off to Breathe…and to Travel! | Where is Shyamni?